The Island at the End of Everything by Kiran Millwood Hargrave is a book that I would definitely read again! This book is set in the early 1900s when people didn't accept other people who were different to themselves. Ami and her Nanay live on the island of Culion which is a leper colony, though they prefer to call themselves touched. Although one day a man called Mr Zamora comes to Culion to announce some changes that will change Ami's life forever. Along the way Ami makes some new friends and gets torn away from people that she loves. The author creates very vivid images throughout the stories using similes, metaphors and various other techniques. I love how the author manages to thread the theme of butterflies in to the book; from the beginning of the book where Ami and her Nanay never see any butterflies in their butterfly garden, till the end of the book where butterflies are swarming around the island of Culion. In my opinion, the butterflies are just there for symbolism. They symbolise hope and the beauty that lies within the people of Culion. I would rate this book 5/5 and recommend it to both boys and girls who are interested in history and heart-felt stories. The Island at the End of Everything is a book well worth reading, I had me captured from the start to the end and I would recommend it to children aged 10-14 who love History and books. My favourite characters were Mari and Ami. I really liked Mari because although she looks different from everyone else she is just the same on the inside, I liked her as well because she was really kind to Ami when she was at the orphanage. I like Ami as well because she was quite determined to see her mother again and she is not selfish at all and never once worried about herself. I think the History in the book was realistic for that time period, but it must have still been horrible for families with people who were 'touched'. Now I have a basic understanding of the Leper Colony I would really like to learn more about it and I would also really love to read The Girl of Ink and Stars which is by the same author. I've already read and enjoyed Kian Millwood Hargrave's first book, 'The Girl of Ink and Stars', and 'The Island at the End of Everything' was just as well-written. If you want a quick read with both emotion and action, I would recommend this book. Ami has spent her whole life on Culion Island, home to her Mother and dozens of others suffering from leprosy. When Mr Zamora, a cruel government worker, arrives on Culion, he demands that Ami and other healthy children must be sent to an orphanage on a neighbouring island. Knowing she might be separated from her mother forever, Ami plans journey back home. A journey away from the orphanage to the island where she belongs. Before reading this book, I did not know that Culion Island is a real place. or that it was once the largest colony of lepers in the world. I also liked how words from the Philippines were used throughout out the story, for example Ami clalls her mother Nanay, meaning 'Mother' in the local language. One of my favourite things about this book was the characters, and how well they are described. I felt empathy for most of the characters but definitely not Mr Zamora, such as, Mari who was abandoned due to the disease in her hand. Kiran Millwood Hargrave describes Culion so clearly that I could almost picture Ami's Village. The last scenes of the book will definitely make you smile as well as cry not giving away any spoilers! I enjoyed every word of 'The Island at the End of Everything' although I wish the book were longer! It has an original plot, strong characters, and shows not to judge a person by their disability; a book I'd recommend everyone to read! The book was very enjoyable it was adventurous, exciting and at some stages tense. The history in the book was not realistic as in the book it says the houses were made in a day and that's not really possible. Also, the book made me want to read more as the story really hooks you in and make you feel like you are in the book and it makes you imagine that you are speaking to the characters and listening to their problems and thoughts. Also in parts the story the settings are very creative and the characters in the book are very well thought out and planned to have their own personalities and to be an individual person which adds to that perfect finish to the book. I give this book a 4 to 5 star rating as the book is a great adventure. I advise that any reader who is capable of reading a higher level of words I recommend they try the book and see what they think! This book kept your interest throughout the story and very educational. But it still felt like a novel and flowed nicely. It kept your attention. My favourite parts of the book were the imagery of the butterflies throughout the book. It was poignant. Apart from making the book slightly longer, I would not change anything. I would give it 4¾ stars out of 5 stars. 'The Island at the End of Everything' is a book worth reading. History books which move you from tears using just words are pretty amazing and this is one of them. Amihan, a 12 year old girl, lives on the island of Culion with her mother. Despite having stunning forests and land, nobody ever visits Culion. After an action by the government, Culion is made into an island for the 'touched' by leprosy. Mr Zamora, a government representative, forces all untouched children under the age of 18 to leave their families and sail to Coron. During her time in the orphanage, Ami is threatened to be sent to a workhouse with her new friend Mari, short for Mariposa. With the threat hanging above their heads, they leave Coron together and sail back to Culion to find Ami's mother. This book is not only moving, it tells an inspiring story set in a true historical tale about the world's largest leper colony. Its history lures you into finding more about lepers and their history as well as drawing you into reading Hargraves 1st book 'The Girl of Ink and Stars'. This book I highly recommend, and would definitely suggest to anyone interested in historical storylines. The book is set in the early 20th century in the Philippines. It is about a girl called Amihan who lives on an island called Culion with her mother where lepers, people with Leprosy, were sent to live. Her mother has leprosy but Ami does not, so when Mr. Zamora, a cruel government official, comes to the island and says that everyone without leprosy has to leave, Ami's world is shattered. It means leaving her mother and journeying across the sea to an orphanage where she meets a girl called Mari. With Mari's help they set out to try and get back to Ami's mother before it is too late! I loved the book because the way it was written really made me connect with Ami and her struggle to get back to her mother. My favourite bit was when, after all those years, she finds Mari and Kidlat and they are reunited. I think the history in the book was realistic because the way that the lepers were treated, because they were different, is quite realistic and I think it would've happened whether it was right or wrong. It really made me think about how much has changed in the last 100 years and made me want to know more about lepers and how lepers were treated. I also loved Kiran's style of writing as I had read one of her other books before and she is one of my favourite authors. I liked this book because it showed me that people with diseases like leprosy still have lives and families.Â I liked the character Ami because she had a strong heart and even thugh her mother was a leper, she still loved her and looked after her. I do think that the history in this book is realistic because I can see that the author has spent a lot of time and effort researching these colonies of epers and actually finding out about their lives. When I had finished reading this book it made me really want to read another book by this author because it was so realistic like but with her own characters in it. My favourite part of this book was where she made a lovely friend even though she was different. I would recommend this book to anyone with a love for adventure. I really enjoyed this book. My favourite character was Mariposa. She was my favourite because she was such a kind and caring character. Despite her illness, she was hardly ever unhappy and she was really positive and bubbly.Â My favourite event was when Nanay told Ami stories and when Ami told Nanay stories, one night before Ami left. I really liked it because it was really cute and really sad. My favourite place in the book was the Church, because it was when everyone got a chance to come together. I did not actually see where the whole history bit came from. At the start, I thought it was put down as historic because everyone went to the church and there were nuns, so I thought everyone was Catholic. The book did want to make me read on from this author, because she really thought about it, the description was fantastic and you could really get a cllear picture of everything in your mind. I really recommend this book to everyone of all ages. It made me cry and smile and keep wanting to read on after every page. However, I did not like Mar Zamora's character. I thought he was really strict and not a nice character and some of his bits were really boring. 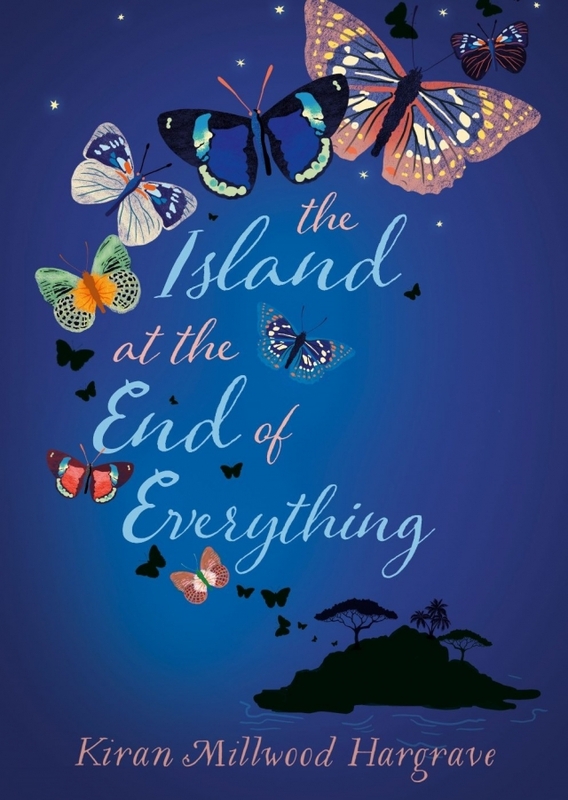 The island at the end of everything is a book about lepers and leprosy and a story about how a 12-year-old girl must leave her mother and go to another island for six years to be able finally to return. The main island in the story is named Culion which is where people at the mainland send people with leprosy. Amihan [the main character] lives with her mother whom she calls Nanay. Her mother is 'touched' and she is 'untouched' - this is there way of saying ones who have leprosy and those who don't. One day a man named Mr Zamora comes into the church and during their congregation and states that he has been sent by the government to separate those with and without leprosy so that they can give a better life to those without it. His plans succeed, anyone under 18 without leprosy has to go out to another island named Coron whilst those who are over 18 with and without leprosy have to stay in permitted areas to stop the spreading of disease. Amihan and those other children without leave for the orphanage on Coron but soon find out that Mr Zamora [who is running and teaching at the orphanage] has been intercepting their letters home. Soon after the realisation of this, Amihan and her friend Mari devise a plan to escape from the orphanage and return home. I thought that the book was very well written and uses a variety of vocabulary to make you feel sad for Amihan and the other children and their parents. I really liked the book because it was so well written and has a great story and meaning behind it. I would recommend this to girls and boys of around 12 years plus. The book I read was not my type but others might enjoy it if they like nature and weird creatures that take over islands. I first looked at the blurb that was what make me take it and read it. The Island at the End of Everything, a fictional book written by Kiran Millwood Hargrave, it is an exceptionally well written book which contains a very valuable moral. The book charts the adventures of a young girl called Amihan who lives with her mother on Culion Island. Unfortunately for Amihan, her mother has been diagnosed with Leprosy, a disease that effects mucous membranes and nerves causing discolouration and lumps on her skin. Despite this, Amihan loves her home with its mazarine, blue seas and luscious and viridian forests. However, this is all threatened due to a confrontation with malicious government official and fierce lepidopterist called Mr. Zamora, who forces Amihan to be separated from her mother. Following this, Amihan goes to an orphanage and comes across Mariposa, the two of them become friends. More than Amihan it is Mariposa (which in Spanish means 'butterfly') who is my favourite character in the book. Despite being a fictional character, I wouldn't mind having her as a role model, particularly as she has an injured hand but comes across as tough and resilient. Hargrave has weaved some very important topics into the novel, such as melancholic issues that relate to death, disabilities, illness, mental health and prejudice. Hargrave has handled all this with care. Therefore, not only is the book gripping but it also raises the reader's awareness of these issues. Major highlights of the book are how Hargraves very effectively (through use of providential and humorous situations) explored the themes in the book. I particularly enjoyed the ending chapters when Amihan and her amiable companions are eventually reunited. Not only does Hargrave satisfy the reader through answering the questions that she has posed, she manages to end the story in an uplifting and positive manner. A slight downside to the book is that it contains very little in the way of history. By missing out on this, perhaps it has let itself down, particularly as the book has been entered into a historical writing competition. Furthermore to this, some basic information such as the time in which the story is set, is missing, this perhaps is a source of disorientation for the reader. However, I would like to emphasise that these are just some minor criticisms. Over all I thoroughly enjoyed this book as there wasn't a dull page throughout. I definitely was on tenterhooks, wondering how things would eventually get resolved. As well as being entertaining, the book was also intriguing in the way in which it raised and then dealt with difficult issues. It is definitely an action packed and awe inspiring book and I do not have any hesitation in recommending this to others. Yes, I thoroughly enjoyed reading 'The Island at the End of Everything' because it was a different sort of history book. It wasn't full of facts but I didn't forget that it was a history book. My favourite character has to be Ami (Amihan). I absolutely loved the prominent symbolism of butterflies and the powerful, meaning behind it. Nanay mentioned butterflies surrounding her house one summer. They stayed for a whole week one year, compared to Mr Zamora who sees no value in them but, just to be dead and behind glass. 'Take these butterflies', he says, gesturing at the walls. 'They have never known disease or danger. I even give them a clean death - is that not a kindness? They are beautiful. Clean. Untouched by the world. ' There are also recurring themes of love, friendship and loss. The book did make me want to find more out about leprosy and the history of the Philippines in 1960. I would highly recommend this book to anyone who doesn't really like long books. It is a perfect book to read in one sitting. Incredibly gripping. Yes I enjoyed the book, it was great and fascinating. There was this character that separates the family. He thought the grownups were sick, he was right. He was trying to get the children to live in a cottage but the children didn't like it, they were sad. The people were arguing about it, they were angry about the person who was making the children the saddest in entire world. The children were sad and scared because they would lost their family, especially the girl who had to go early because of nanny. She was sad as she couldn't be with her friends. I don't get why they have to keep people away just because the adults were sick. Something bad might happen to the children. They could be working for the man who took them and they would be his slaves. He could be using them to take over the world. He could trick them into something like, he is going to bring their parents back. They could be the saddest children that could be lost in the forest, maybe the man was going to get rid of their parents so he could sell them. The children might be adopted and they might be scared that they would have the worst family ever. The parents might be worried sick that they would have died. I enjoyed the Island at the End of Everything because it is a really good historical fiction. It is based on an island for lepers and an orphanage. It is fascinating and I simply couldn't put it down. This book wants me to read more of Kiran Hargrave's books because it is such a good read. It describes the cruelty of lepers. It is a good historical fiction and a lot of people can learn how lepers were treated from this book. This book also opened my mind. This book is written by Kiran Millwood Hargrave. She is a poet, playwright and novelist. Kiran is very young with the success she has had. She is the author of the bestselling book The Girl of Ink and Stars. Millwood was born in London in 1990. She studied at both Cambridge and Oxford Universities. This book is very different to a lot of her other books but is still at the same quality. Kiran knows how to organise a book and not to go of topic. The chapter name is all about what the chapter is about but written in more depth. I would recommend this author to anyone as I feel that they would be able to enjoy her books. The book is set in 1906 in the Culion Island, Philippines. The book is about the segregation of people with leprosy and how the government tried to get rid of the disease by separating the clean people and the people who are 'touched' (the name given to people with leprosy in the book) and getting them treated with professional doctors help. The perspective is in the 1st people of a young girl Amihan, 11, and about her journey in being separated from her mum and taken to another island and put into an orphanage. I did enjoy the book as it gave a point of view of a child in the circumstances presented and how it affected them. Most of the time children are not considered in theses type of situations. Millwood is very good on keeping the book to historical realism with also giving it an easy way to understand it. The book opened my eyes as I did not know how leprosy came about and where it started. The book made me want to find out more about the segregation of people with leprosy. The historical realism is shown a lot through the way that Amihan talks about the world around her there is no mention of anything that is in the modern world. She says that the â€œchurch is the most beautiful building on the islandâ€ showing that religion is a big thing during those times. Many churches are not the best looking showing that the island must be run down. This can show the values of the people which is another way that is different from modern times showing the history behind the book. Millwood also uses some Pilipino words like nanay is mother and ama is father, using the language were it is set can draw people into reading the book. I liked a lot the character relations that are written. The main character has a very good relationship with her mother but every time Amihan tried to talk about the past and her father her mum would close up. The last night together she opens up and tells the story of her father showing that the mother was afraid that Amihan would never know because her mum might die. They both try to hold onto the last moments because they might never see each other again. Amihan thinks "I don't want to fall asleep because when I wake up it will be tomorrow, and Nanay seems to feel the same because she suggested we tell stories" showing that they are trying to hold onto every single moment before it ends. The Island At The End Of Everything by Killan Millwood Hargrave is a charming rites of passage novel following the protagonist, Amihan, as she goes through a traumatic and invigorating childhood. It is based around the true event of Culion Island becoming a leper colony, although the characters are entirely fictitious. Hargrave spins a delightful world of golden beaches and lush plants, so much so that the reader feels as though it is their own island being given over to a leper colony. The description in this book is by far the most endearing part and it provides a platform for the rest of the novel to build on. This lends itself in favourable ways to the book, however it does leave the reader with a sense that without the vivid description the rest of it would perhaps fall short. Whilst the characters themselves evoke sympathy and pity , they don't quite reach the demands that you might expect a protagonist or supporting characters to reach; the reader is rooting for them but does not feel inspired or empowered, leaving much to be desired. The historical aspect of this novel has been written with great skill, both informing and capturing the reader'sattention. Even though Amihan's tale has been dramatised with political villainy it is one that can still make the reader want to explore further into the historical depths of the novel as well as the fictitious parts. This book is ultimately a fast and enjoyable read, worthy of a wider audience.Halgrave has successfully woven a world that the reader will long to immerse themselves in. There are characters and passages that could be enhanced further in order to resonate with the reader, although 'The Island At The End Of Everything overall is a wholesome and pleasant read. In conclusion I think that the book is not just historical but is an emotional story of a young child going through a tough experience and learning to grow up. It is a book that anybody can read. It can be relatable to anybody and everyone. It might be fictional but Millwood really brings it to light and makes it seem like a true story. The Island at the End of Everything is amazing. It's based in the 20th century when leprosy was around. It's a historical adventure taking you on a ride through time. It enables you to understand what people were going through. Ami, a young girl whose mother is 'touched' is banished from her home and mum to become an orphan. It makes you think how it would be to be separated from your mother, how you would want to get back to her and how angry you would be at the person who separated you. A group of other kids and Ami are deported to another island where the orphanage is run by a cruel master. Making friends with another girl and a young boy, they decide to escape. Leading themn on many adventures, they build a raft to take them to safety. This book is a thrilling tale of a brave, young girl. It puts you in positions where you don't know what to do. It contains history and so much more. I really enjoyed it and hope more like it are made.